There are eight colleges and universities in Delaware. These institutions include two research universities, one master's university, one baccalaureate college, two associate's colleges, and two special-focus institutions. Five of Delaware's post-secondary institutions are private and three are public. 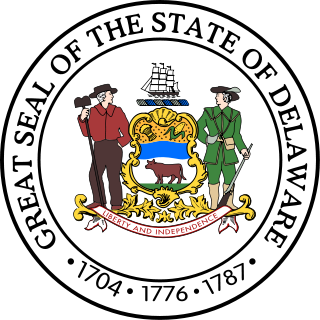 Delaware is one of the 50 states of the United States, in the South-Atlantic or Southern region. It is bordered to the south and west by Maryland, north by Pennsylvania, and east by New Jersey and the Atlantic Ocean. The state takes its name from Thomas West, 3rd Baron De La Warr, an English nobleman and Virginia's first colonial governor. 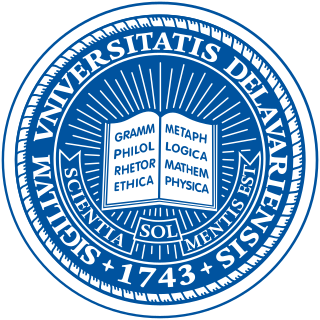 The University of Delaware is a public research university located in Newark, Delaware. University of Delaware is the largest university in Delaware. UD currently offers more than 135 undergraduate degrees. At the graduate level, it offers 67 doctoral, 142 master’s degree programs, 14 dual degrees, 15 interdisciplinary programs, 12 on-line programs, and 28 certificate programs across its seven colleges and more than 82 research centers and institutes. UD is one of the top 100 institutions for federal obligations in science and engineering and interdisciplinary initiatives in energy science and policy, the environment, and in human health. The main campus is in Newark, with satellite campuses in Dover, Wilmington, Lewes, and Georgetown. It is considered a large institution with approximately 18,500 undergraduate and 4,500 graduate students. UD is a privately governed university which receives public funding for being a land-grant, sea-grant, space-grant and urban-grant state-supported research institution. The United States Department of Education, also referred to as the ED for (the) Education Department, is a Cabinet-level department of the United States government. It began operating on May 4, 1980, having been created after the Department of Health, Education, and Welfare was split into the Department of Education and the Department of Health and Human Services by the Department of Education Organization Act, which President Jimmy Carter signed into law on October 17, 1979. A land-grant university is an institution of higher education in the United States designated by a state to receive the benefits of the Morrill Acts of 1862 and 1890. Delaware State University, is a public historically black university in Dover, Delaware. DSU also has two satellite campuses, one in Wilmington and one in Georgetown. The university encompasses four colleges and a diverse population of undergraduate and advanced-degree students. The National Sea Grant College Program is a program of the National Oceanic and Atmospheric Administration (NOAA) within the U.S. Department of Commerce. It is a national network of 33 Sea Grant Colleges and universities involved in scientific research, education, training, and extension projects geared toward the conservation and practical use of the coasts, Great Lakes, and other marine areas. The program is administered by the National Oceanic and Atmospheric Administration (NOAA) and is based in Silver Spring, Maryland. No sea rights have actually been granted, only money. A medical school is a tertiary educational institution, or part of such an institution, that teaches medicine, and awards a professional degree for physicians and surgeons. Such medical degrees include the Bachelor of Medicine, Bachelor of Surgery, Doctor of Medicine (MD), or Doctor of Osteopathic Medicine (DO). Many medical schools offer additional degrees, such as a Doctor of Philosophy (Ph.D), Master's degree (M.Sc), a physician assistant program, or other post-secondary education. Regional accreditation is the educational accreditation of schools, colleges, and universities in the United States by one of seven regional accrediting agencies. Accreditation is a voluntary process by which colleges demonstrate to each other, and sometimes to employers and licensing agencies, that their credits and degrees meet minimum standards. It is the self-regulation of the higher education industry. Higher education in the United States is an optional stage of formal learning following secondary education. Higher education, also referred to as post-secondary education, third-stage, third-level, or tertiary education occurs most commonly at one of the 4,360 Title IV degree-granting institutions, either colleges or universities in the country. These may be public universities, private universities, liberal arts colleges, community colleges, or for-profit colleges. US higher education is loosely regulated by a number of third-party organizations varying in quality. Below are links to lists of institutions of higher education in the United States by state, grouped by Census Region, as well as lists of institutions in United States insular areas and of American institutions located outside the United States and its territories. The Delaware Valley is the valley through which the Delaware River flows. By extension, this toponym is commonly used to refer to Greater Philadelphia or Philadelphia metropolitan area, which straddles the Lower Delaware River just north of its estuary. 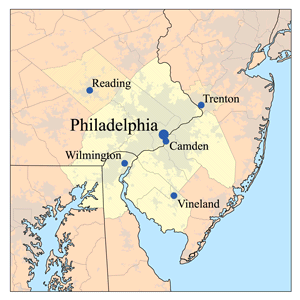 The Delaware Valley Metropolitan Area is located at the southern part of the Northeast megalopolis and as such, the Delaware Valley can be described as either a metropolitan statistical area (MSA), or as a broader combined statistical area (CSA). The Delaware Valley Metropolitan Area is composed of several counties in southeastern Pennsylvania and southwestern New Jersey, one county in northern Delaware, and one county in northeastern Maryland. The MSA has a population of over 6 million, while the CSA has a population of over 7.1 million. Philadelphia, being the region's major commercial, cultural, and industrial center, wields a rather large sphere of influence that affects the counties that immediately surround it. Texas Southern University is a public historically black university (HBCU) in Houston, Texas. The university was established in 1927 as the Houston Colored Junior College. It developed through its private college phase as the four-year Houston Colored College. On March 3, 1947, the state declared this to be the first state university in Houston; it was renamed Texas State University for Negroes. In 1951, the name changed to Texas Southern University. Ohio Wesleyan University (OWU) is a private liberal arts university in Delaware, Ohio. It was founded in 1842 by Methodist leaders and Central Ohio residents as a nonsectarian institution, and is a member of the Ohio Five – a consortium of Ohio liberal arts colleges. Ohio Wesleyan has always admitted students irrespective of religion or race and maintained that the university "is forever to be conducted on the most liberal principles." 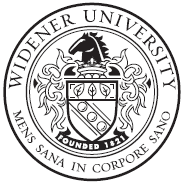 Widener University is a private university in Chester, Pennsylvania. The university has three other campuses: two in Pennsylvania and one in Wilmington, Delaware. 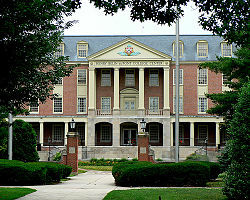 Salesianum School is a Roman Catholic independent school for boys, located in Wilmington, Delaware. It is run independently within the Roman Catholic Diocese of Wilmington and is operated by the Oblates of St. Francis de Sales. The current enrollment is about 1,100 students, from Delaware, Maryland, New Jersey and Pennsylvania. Salesianum has established a close connection with Lycée Saint Michel, another Oblate high school, located in Annecy, France. Salesianum was named one of the Top 50 Catholic High Schools in America by the Catholic Honor Roll in 2004, 2007, 2008, 2009, and 2010. The Higher Learning Commission (HLC) is an organization tasked with the regional accreditation responsibilities for post-secondary education institutions in the central United States. The Higher Learning Commission oversees the accreditation of degree-granting colleges and universities in nineteen mostly Midwestern and South-Central states, namely Arkansas, Arizona, Colorado, Iowa, Illinois, Indiana, Kansas, Michigan, Minnesota, Missouri, North Dakota, Nebraska, Ohio, Oklahoma, New Mexico, South Dakota, Wisconsin, West Virginia, and Wyoming. The headquarters of the organization is based in Chicago, Illinois. Wilmington University is a private, non-profit, doctoral research institution with its main campus located in New Castle, Delaware, United States. 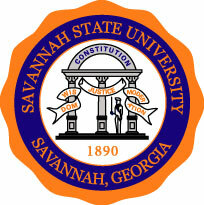 Savannah State University is a public historically black university in Savannah, Georgia. It is the oldest public historically black university in the state. The university is a member-school of the Thurgood Marshall College Fund. ↑ "UD History". University of Delaware. Archived from the original on October 5, 2015. Retrieved October 5, 2015. ↑ "Delaware Public Archives: University of Delaware". Delaware Public Archives. Archived from the original on October 5, 2015. Retrieved October 5, 2015. 1 2 3 4 "College Navigator". United States Department of Education Institute of Education Sciences. Archived from the original on August 31, 2017. Retrieved August 31, 2017. ↑ "Map of Land-Grant Colleges and Universities" (PDF). United States Department of Agriculture, Cooperative State Research, Education, and Extension Service. Archived from the original (PDF) on October 8, 2009. Retrieved October 5, 2015. ↑ "Sea Grant Delaware: About Us". Sea Grant Delaware. Archived from the original on October 5, 2015. Retrieved October 5, 2015. ↑ "Delaware Space Grant Consortium". Delaware Space Grant Consortium. Archived from the original on October 5, 2015. Retrieved October 5, 2015. ↑ "White House Initiative on Historically Black Colleges and Universities". United States Department of Education. Archived from the original on October 5, 2015. Retrieved October 5, 2015. ↑ "Thurgood Marshall College Fund: Member Schools". Thurgood Marshall College Fund. Archived from the original on October 5, 2015. Retrieved October 5, 2015. 1 2 3 4 5 "Patrick Reilly papers, 1828-1878 (MC 42)". Philadelphia Archdiocesan Historical Research Center. Archived from the original on October 5, 2015. Retrieved October 5, 2015. 1 2 3 4 5 Taggart, Robert J. (November 30, 2007). "Wesleyan Female College of Wilmington, Delaware: A College Before its Time?". American Educational History Journal. 35 (2): 221–232. Archived from the original on October 5, 2015. Retrieved October 5, 2015. ↑ "Delaware Institute of Medical Education and Research". Delaware Health Care Commission. Archived from the original on December 31, 2016. Retrieved August 31, 2017. ↑ "Delaware's Law School". Widener University. Archived from the original on June 6, 2017. Retrieved August 31, 2017. ↑ "Institution Directory". Middle States Commission on Higher Education. Archived from the original on August 26, 2017. Retrieved August 31, 2017. ↑ "Carnegie Classification of Institutions of Higher Education: Institution Lookup". Carnegie Foundation for the Advancement of Teaching. Archived from the original on October 6, 2015. Retrieved October 5, 2015. ↑ "Delaware College of Art and Design: Overview". Delaware College of Art and Design. Archived from the original on October 5, 2015. Retrieved October 5, 2015. ↑ "About DSU". Delaware State University. Archived from the original on October 5, 2015. Retrieved October 5, 2015. ↑ "History". Delaware Technical Community College. June 3, 2011. Archived from the original on October 5, 2015. Retrieved October 5, 2015. ↑ "College History". Goldey–Beacom College. Archived from the original on October 5, 2015. Retrieved October 5, 2015. ↑ "About Wesley College". Wesley College. Archived from the original on February 22, 2014. Retrieved October 5, 2015. ↑ "2016 Standard 509 Information Report" (PDF). Delaware Law School. 2016. Archived (PDF) from the original on July 5, 2017. Retrieved August 31, 2017. ↑ "Vision & History". Widener University. Archived from the original on October 5, 2015. Retrieved October 5, 2015. ↑ "Wilmington University at a Glance". Wilmington University. Archived from the original on October 5, 2015. Retrieved October 5, 2015. 1 2 3 4 5 Williams, Khalil. "Widener Archives Features Brandywine College". Widener Magazine. Widener University. Archived from the original on October 5, 2015. Retrieved October 5, 2015. 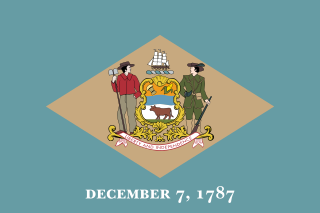 ↑ "Delaware". Catholic Encyclopedia . New Advent. Archived from the original on October 5, 2015. Retrieved October 5, 2015. ↑ Taggart, Robert J. (November 30, 2007). "Wesleyan Female College of Wilmington, Delaware: A College Before its Time?". American Educational History Journal. 35 (2): 221–232. Archived from the original on October 5, 2015. Retrieved October 5, 2015. 1 2 3 4 5 Manser, Ann (October 7, 2014). "Women's College centennial" (Press release). University of Delaware. Archived from the original on March 12, 2017. Retrieved August 31, 2017.